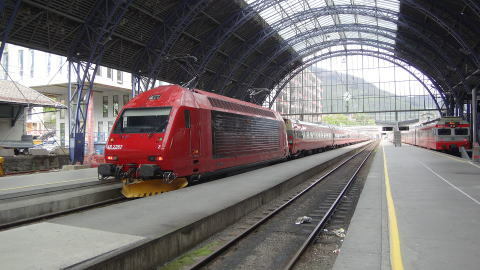 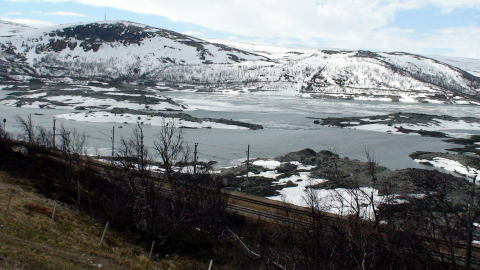 (L) Lake, Ustevatn and a railroad between Bergen and Oslo (R) A snowy Route 7: This is a photo taken in June 2015. 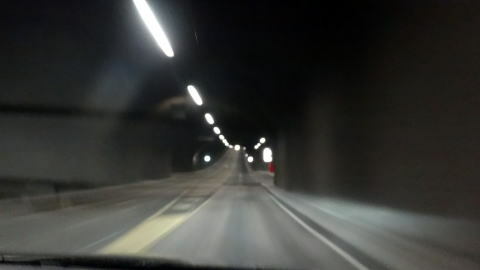 The underground round-about in the vallavik tunnel. 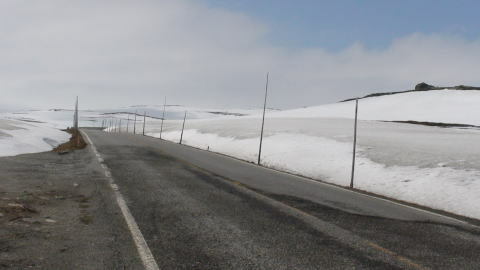 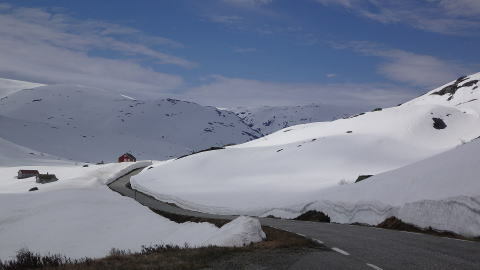 This road connects Vallavik and Brimnes of Route No.7. 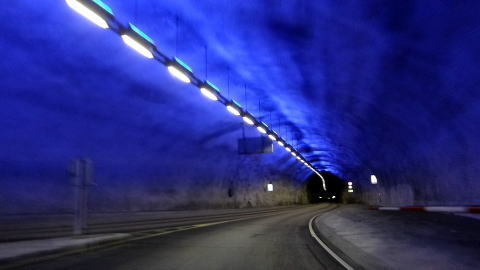 of the tunnel to connect up with the newly constructed Hardanger Bridge. 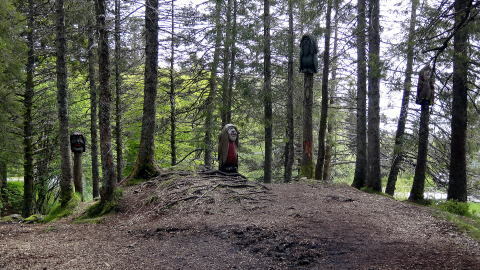 (L) "Forest fairy" created at the top of hills near the upper station of Bergen cable car. 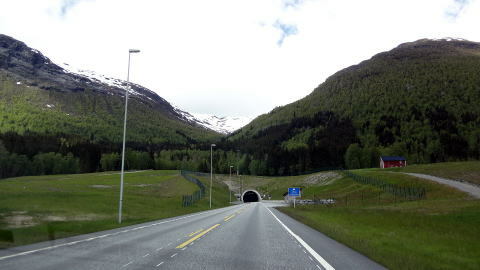 (R) When we drive from Oslo to the north, there are a lot of mountain tunnels. 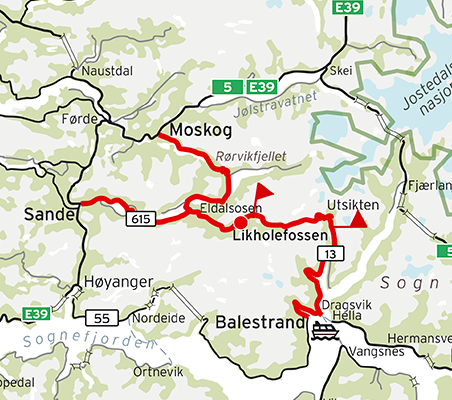 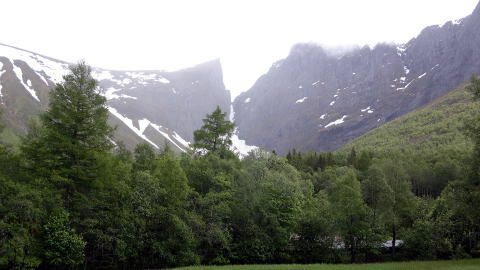 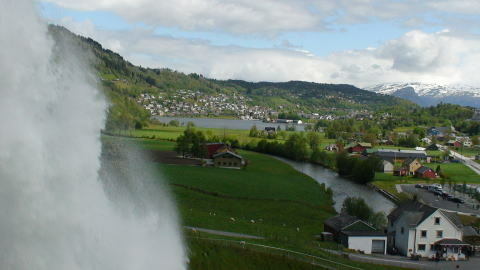 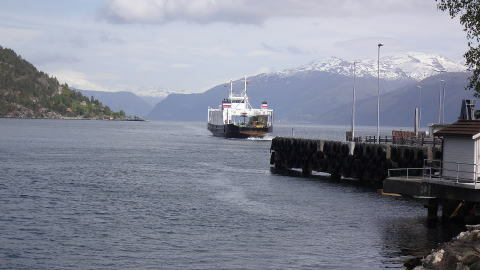 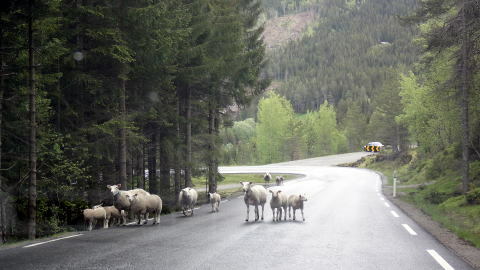 (L)Gaularfjellet National Tourist Route is composed of the 130-kilometre-long stretch of a road between Balestrand and Moskog. 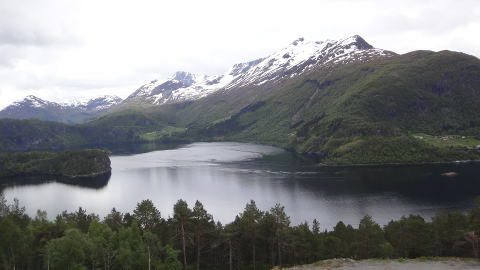 (R) Hornindalsvatnet is Norway's and Europe's deepest lake, officially measured to a depth of 514 metres. 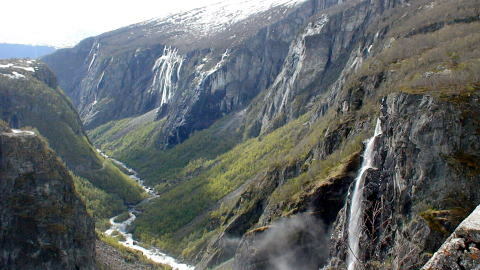 Its surface is 53 metres above sea level, which means that its bottom is 461 metres below sea level. 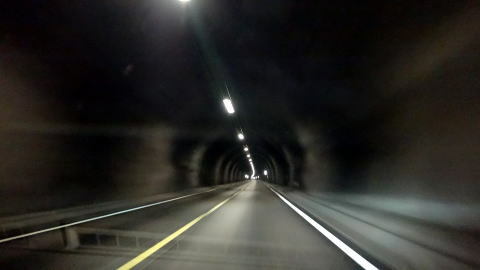 (R) Undersea tunnel connecting the two islands off Alesund: There is a passing lane in the uphill in the tunnel. 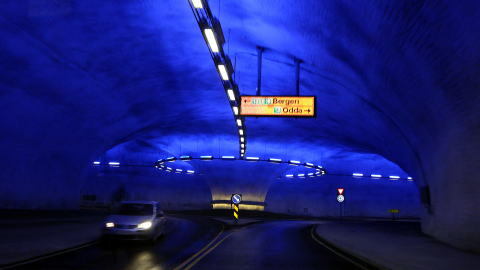 We have to pass through these undersea tunnels to go to Alesund Airport. 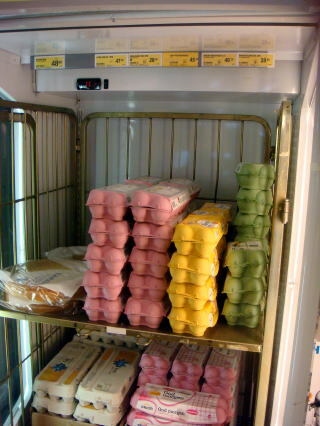 A pack of eggs cost NOK 28-48, about double of Tokyo prices. 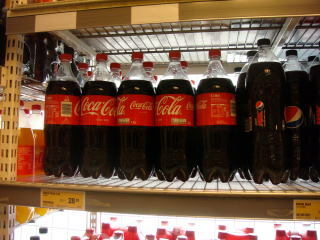 The 1.5 L bottle of CocaCola cost NOK 28.2; that is about 3.1 times higher than in Tokyo. 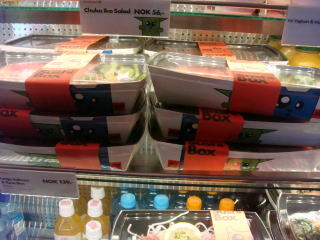 Sushi cost NOK 139, about 2.5 times higher than in Tokyo. 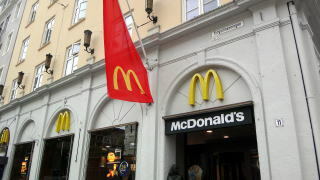 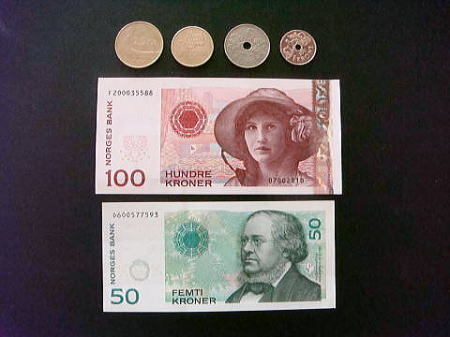 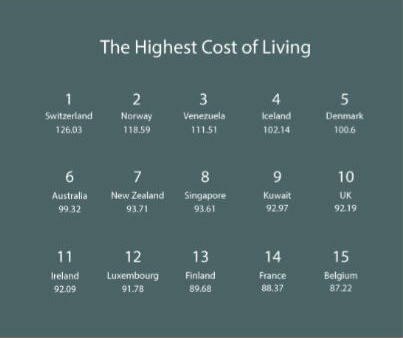 A Hamberger at McDonald's costs NOK 110 in Bergen, Norway: It is equivalent to US$13.8. 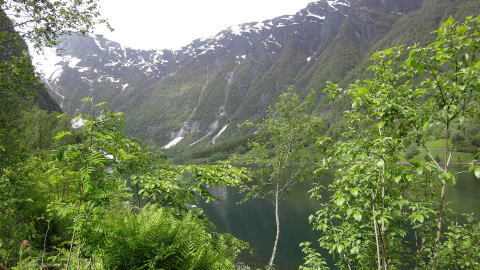 It is also about three times higher than that in Tokyo. 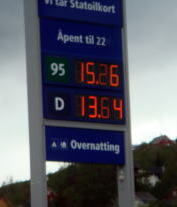 The price for Diesel-extra is NOK 13.57, regular 95 is NOK 15.57, at the suburb of Oslo. 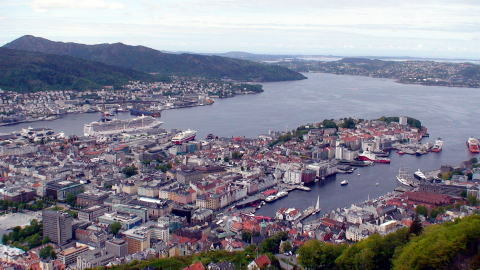 The price for Diesel-extra its NOK 13.64, regular 95 is NOK 15.26, at the place north of Bergen. 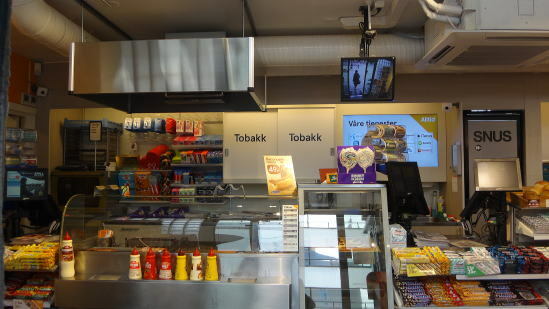 A 20-pack cigarette cost NOK 102-120, which is 4 to 5 times higher than the price of Tokyo. 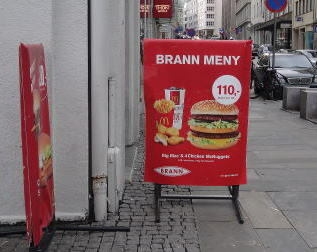 This price is almost the same in Australia. 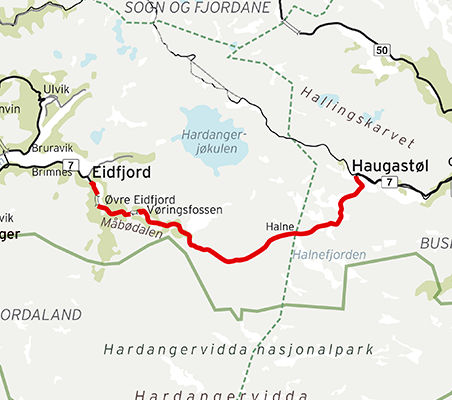 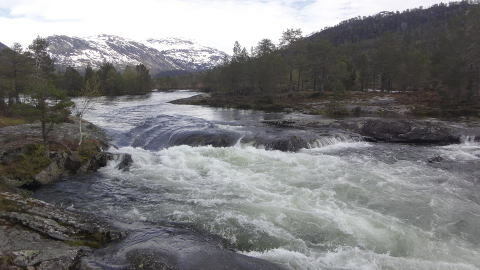 Google maps Norway: Please enlarge the map for your view. 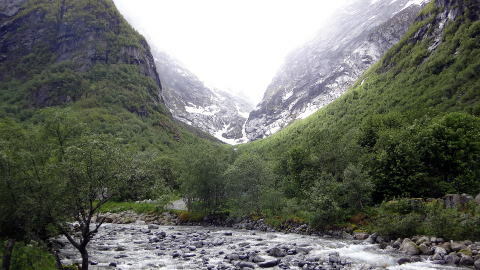 Please note that some photographs are being displayed twice in other pages.